With a stunning riverside location this project required the utmost care and attention to ensure minimal disruption to access and village life. 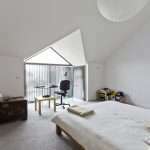 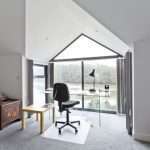 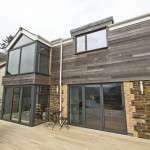 The existing property was knocked down to make way for a modern family home. 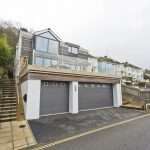 After significant groundwork and the construction of a major retaining wall the re-development could begin. 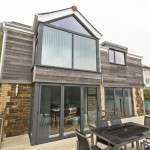 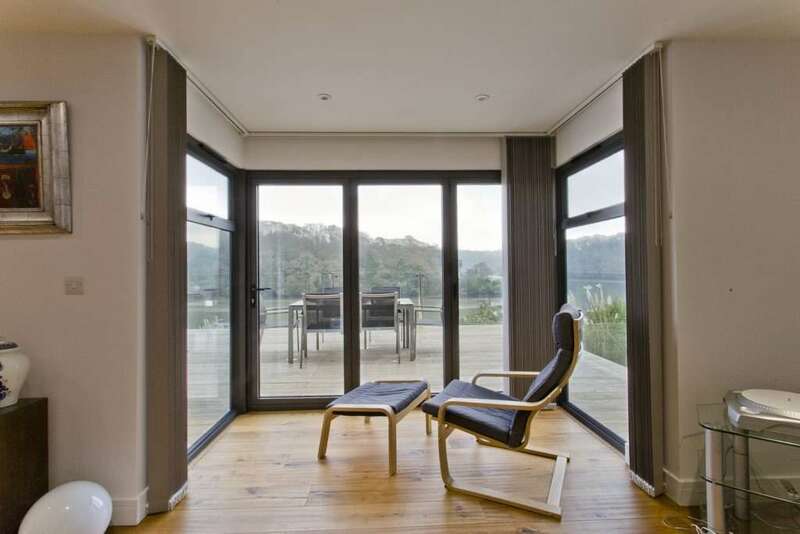 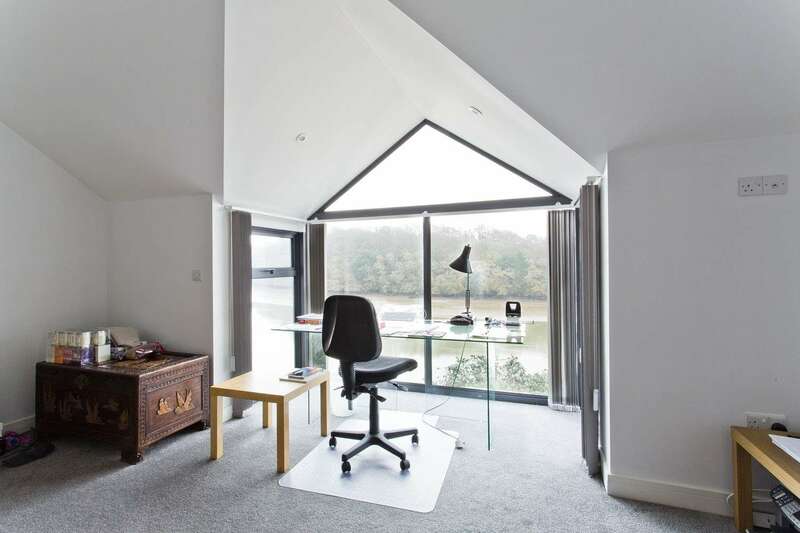 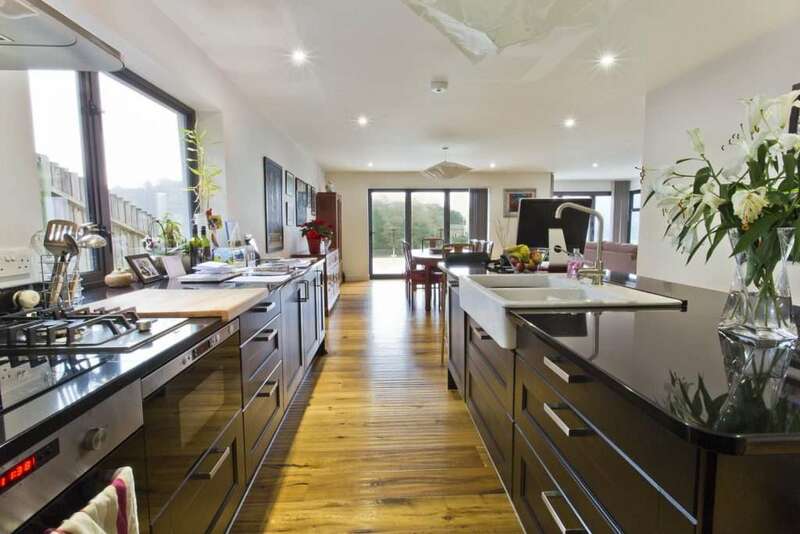 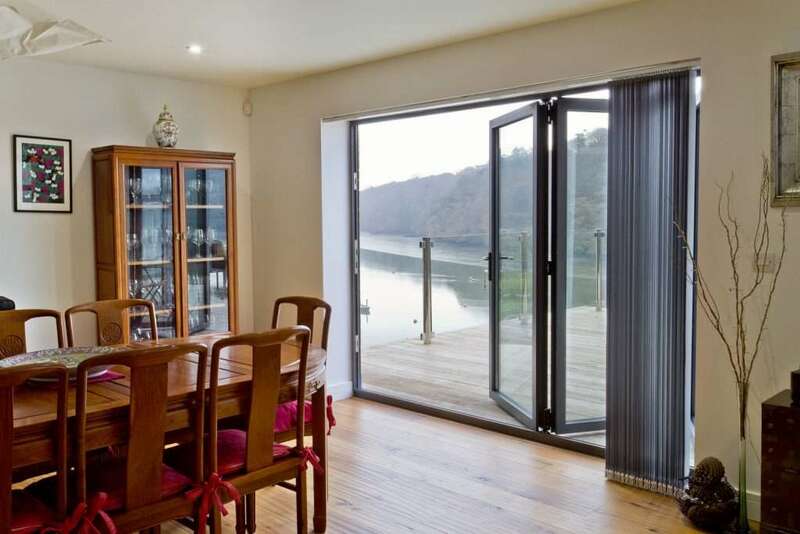 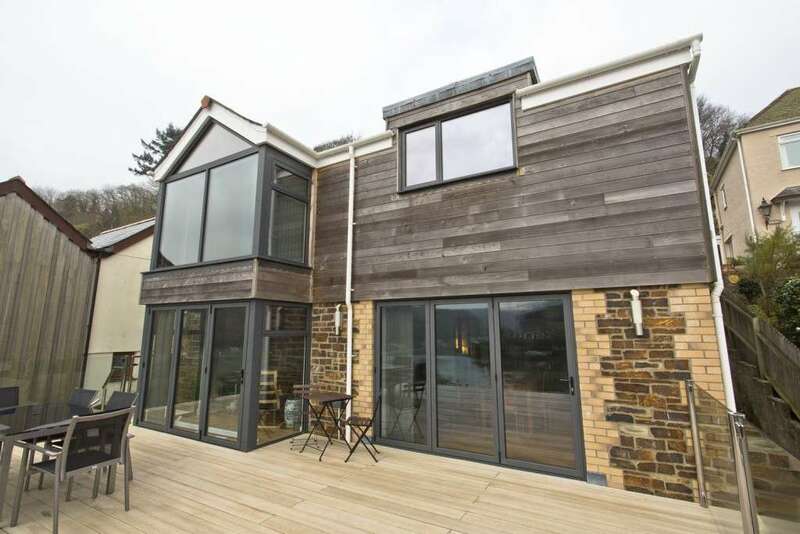 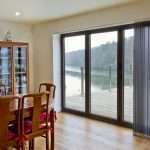 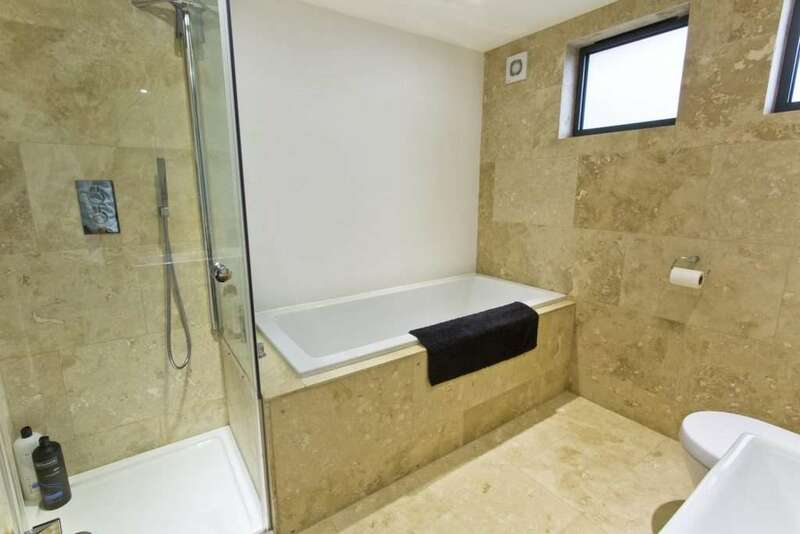 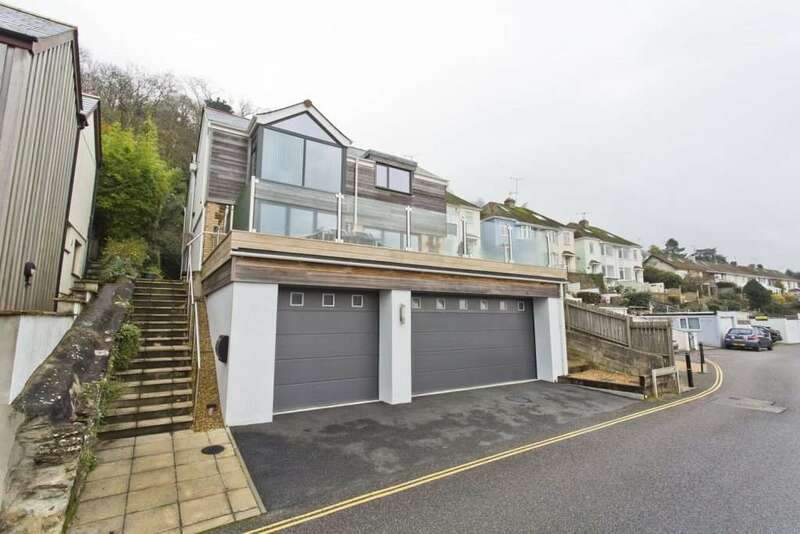 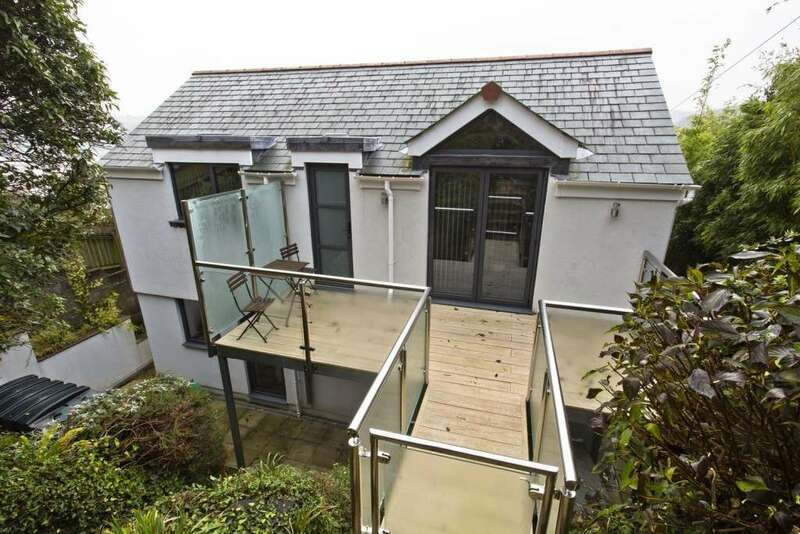 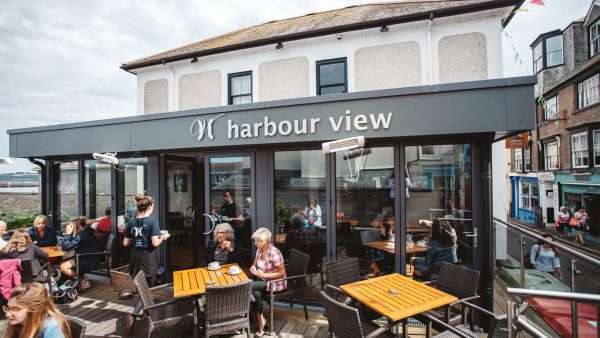 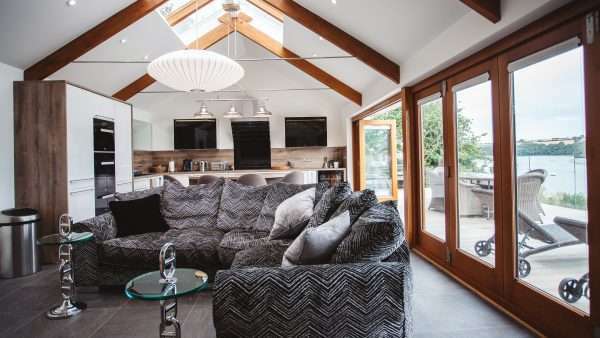 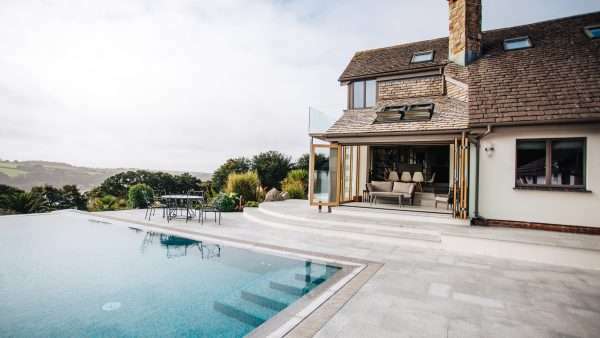 The property focuses on the stunning waterfront with a large composite resin Millboard deck which Marnick Builders are accredited installers of. 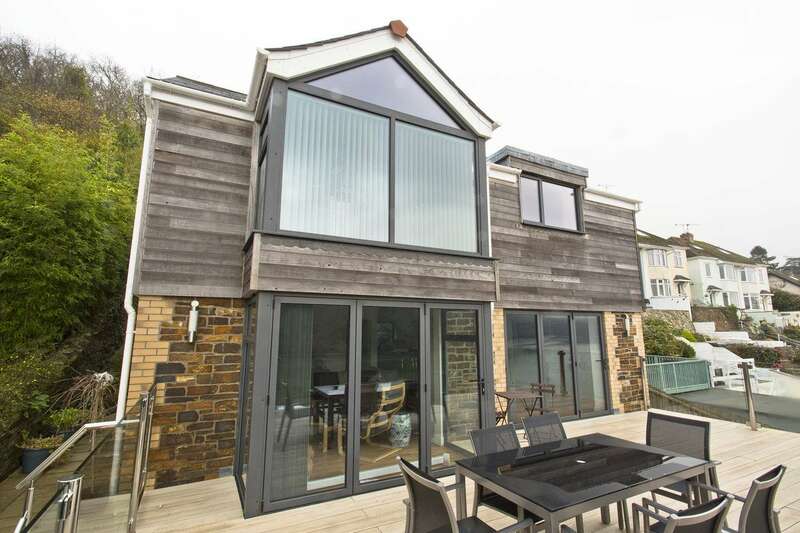 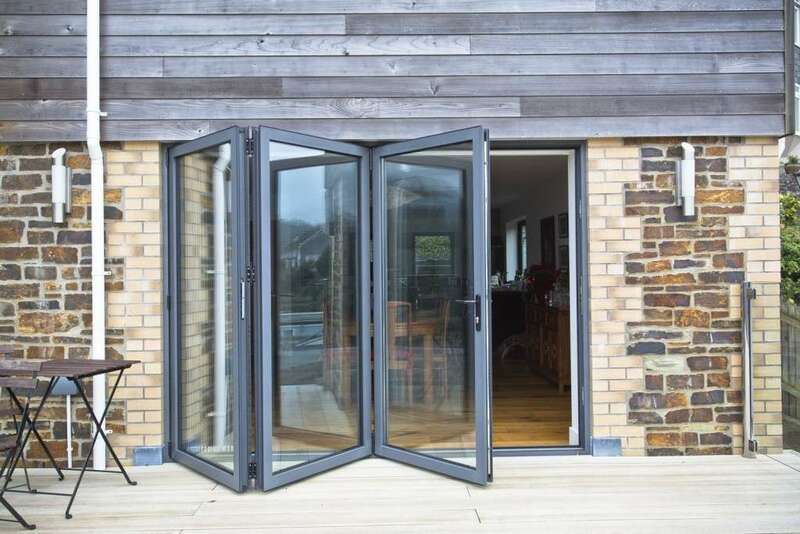 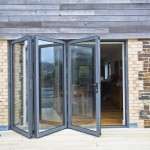 Combining this with triple glazed panels and bi-fold doors along the length of the open plan living area ensures the view is fully appreciated. 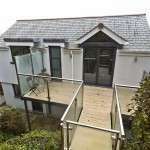 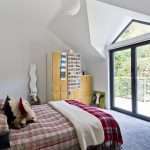 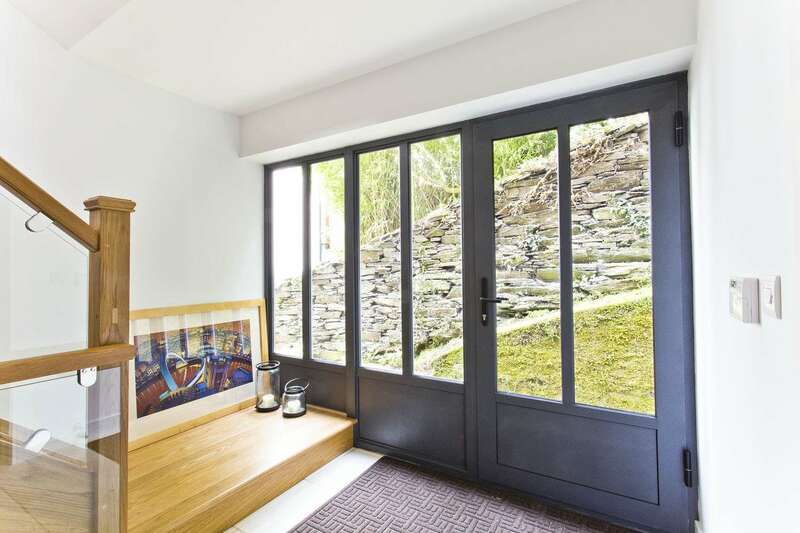 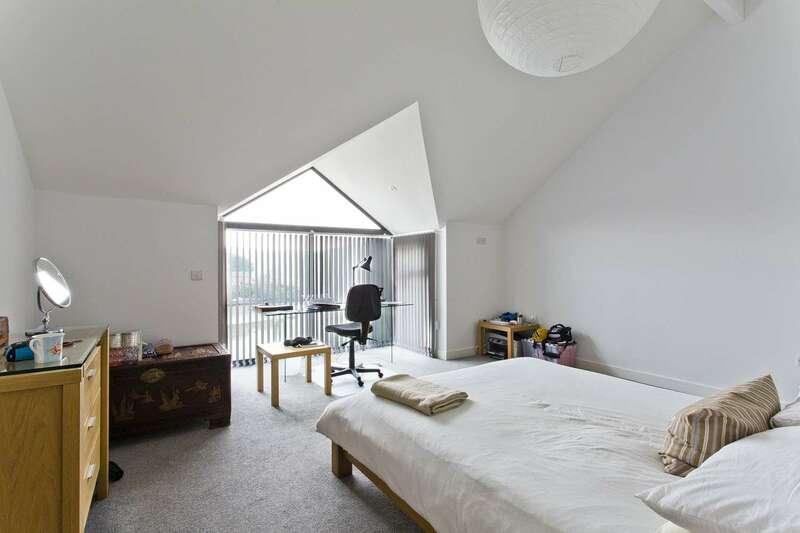 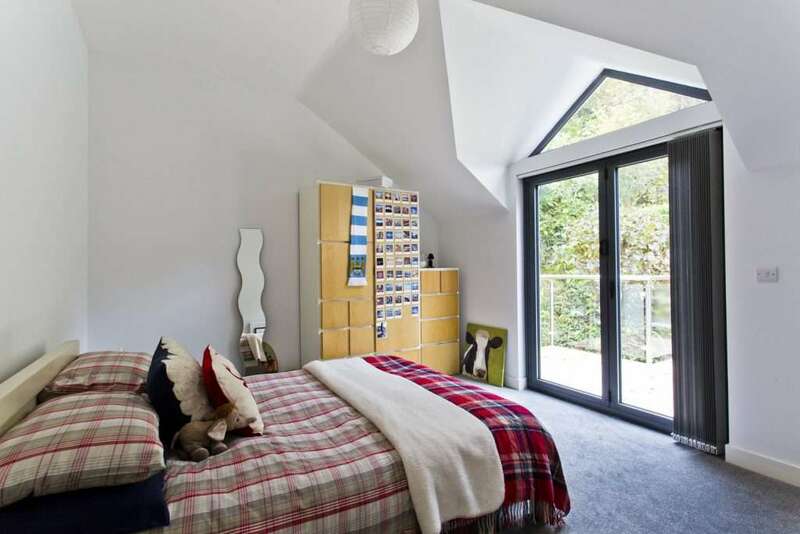 Again the view is the focal point of the upstairs rooms, and the property makes use of the steep gradient with a rear deck and access to the sloping garden from the bedroom at the rear. 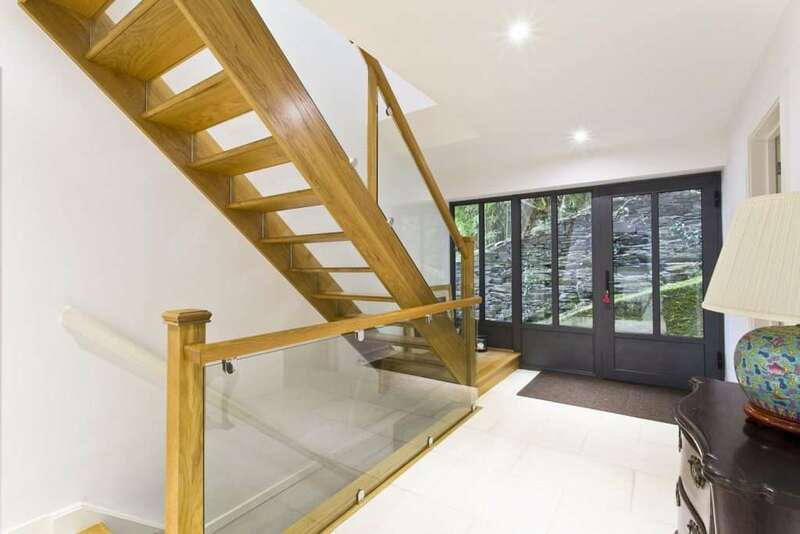 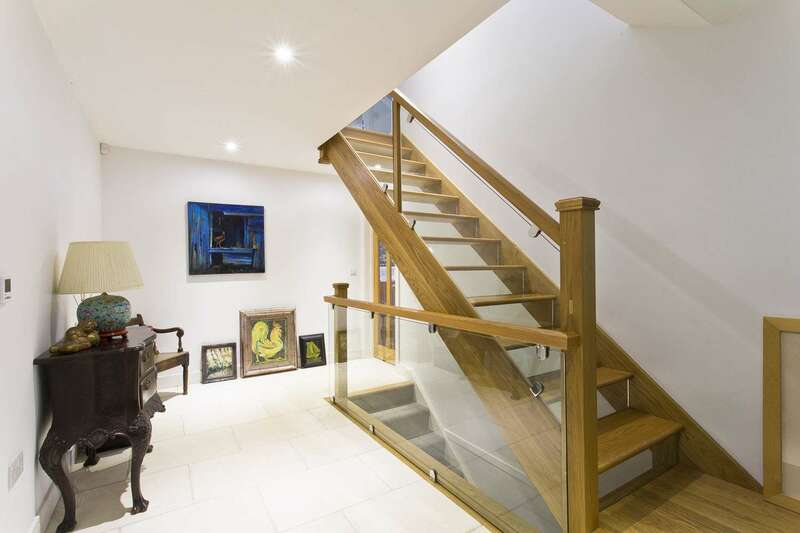 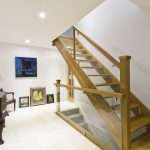 A bespoke timber and glass staircase sits at the heart of the home and is just one of many design features which combine to create a high quality finish.